I’ve found an excellent site where you can recite, get translation, and search Quraanic words. 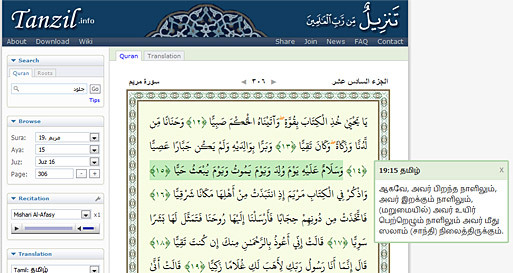 So far this is the best site for searching Quraan, I’ve ever seen. May Allah accept the deeds of people who put their effort and time on this project.